Either the Royal Society has sold a Fellowship or perhaps they believe that HRH Prince Andrew, the Duke of York will bring great credit to the Society and the scientific community. A remarkable vote where only a “Yes” vote was permitted. No doubt we will hear that there was a clear consensus in favour and that his elevation was supported by – wait for it – all those who supported him! To put it mildly, Randy Andy has a rather spotted biography. Either way it does little credit to the Royal Society or its Fellows. After more than 350 years of largely happy association with assorted royalty Britain’s pre-eminent scientific institution, the Royal Society, faces unprecedented dissent from members after Prince Andrew was elected to become a fellow. While the objections to the prince mainly centre on his slightly chequered career as a royal, a small number among the 1,450 or so Royal Societyfellowship are asking the wider question of whether it is time for an institution based on science to end the practice of honouring people on the basis of heredity. Measurement standards which can no longer be touched or seen or felt…. I have a sense of loss. The Royal Society was home to a conference on 24th and 25th to consider how to bring the kilogram – the last of the seven base units of measurement – into line with the other six. This meeting was to discuss proposals of defining the kilogram in terms of the “fundamental” constants and to move away from using a lump of metal stored very carefully as the standard of mass. The first General Conference on Weights and Measures was held in 1889 and meets every 4 years. 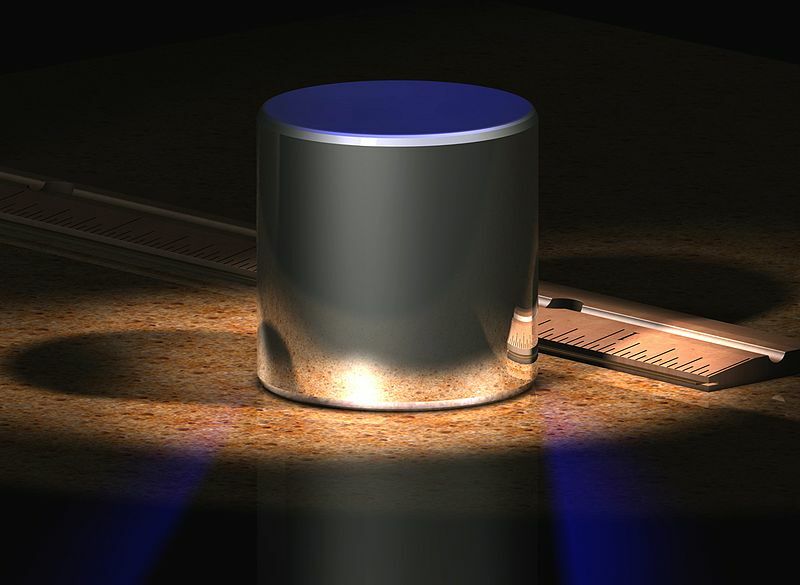 The 24th Conference will be held in October this year and will table a proposal for the new definition of the kilogram. Then by the 25th Conference in 2015 the new definition may be adopted. And when this happens there will no longer be any standard of measure left which can be seen or touched or felt. There will no longer be a King’s foot to refer to or an “Iron Ulna of our Lord the King” to signify a yard or some standard stones stored carefully to represent mass. The Mètre des Archives gave way to the International Prototype Metre. The Imperial Standard Yard like the IPM was the distance between markings on specified bars of metal carefully stored. By 2015 all these standard definitions may be based only on the “fundamental constants” of nature (in the hope that they will truly remain constant across the reaches of space and time). mole for the amount of substance. There used to be a time when measurements could be easily related to. Length and mass (weight) and light and temperature were all given units which were of practical and everyday use. A candle-power was the light from one candle, a foot was a foot, an inch was either the width of your thumb or the distance from the tip of your index finger to the first knuckle, and a grain was the mass of a barley-corn. Water froze at zero °C and it boiled at one hundred divisions higher at 100 °C. Alternatively Daniel Fahrenheit set zero ° F to be the coldest stable temperature he could reach with a particular brine solution (ice, water and ammonium chloride which is a frigorific mixture) and he set 100 °F to the temperature of his wife’s armpit. Later others set the boiling point of water to be exactly 180 divisions higher than the zero at 212 °F. This resulted in normal body temperature now becoming 98.6 °F instead of the 100. The point at which water freezes then happened to be 32 divisions higher than the zero. A comfortable temperature – inside or out – was 80 °F while 60 °F was chilly and 100 °F was on a hot day. A year was set by the seasons and the sun and the month was set by the moon. An average day was set by the sun rising and setting and this day was divided up – arbitrarily – into days and nights of 12 parts each and each part was further divided into 60 and 60 again – probably first by the Babylonians. It is only in our times that we have needed to split the second and anachronistically these further subdivisions of the second follow the metric system with milliseconds and microseconds and nanoseconds. A mile used to be 1000 paces (2 steps with a pace being a left step and a right step) of a standard Roman legionary. But science and industry have moved on. Machines and instruments and medicine and electronics and computers and going to the moon can no longer manage with the old rules and measures of everyday living. From the origins of the metric system, when the metre was a fraction of the arc of the Paris meridian and the kilogram the weight of a cubic decimetre of water, the ultimate goal has been a system of measurement based on invariant quantities of nature. After more than 200 years we are now within reach of achieving this. While the kilogram is still defined as the mass of a Pt-Ir cylinder kept in a vault in Sèvres, serious plans now exist to redefine the kilogram by fixing the numerical value of the Planck constant h; and the ampere, kelvin and mole by fixed numerical values for e, k and NA. With the metre already being defined by the speed of light and the second by an atomic microwave transition, but likely soon to be redefined by an optical transition of much higher frequency, we shall have at last achieved what the savants of the 18th century had sought. The metre is the length of the path travelled by light in vacuum during a time interval of 1/299 792 458 of a second with the speed of light in a vacuum being the natural constant. (And I can’t help wondering if this will remain constant under changing gravity conditions or the changing state of the expanding – or contracting – universe). The second is the duration of 9 192 631 770 periods of the radiation corresponding to the transition between the two hyperfine levels of the ground state of the caesium 133 atom at rest at a temperature of 0 K.
The ampere is that constant current which, if maintained in two straight parallel conductors of infinite length, of negligible circular cross-section, and placed 1 metre apart in vacuum, would produce between these conductors a force equal to 2 × 10−7newton per metre of length. The kelvin, unit of thermodynamic temperature, is the fraction 1/273.16 of the thermodynamic temperature of thetriple point of water having the isotopic composition defined exactly by the following amount of substance ratios: 0.000 155 76 mole of2H per mole of 1H, 0.000 379 9 mole of 17O per mole of 16O, and0.002 005 2 mole of 18O per mole of 16O. The mole is the amount of substance of a system which contains as many elementary entities as there are atoms in 0.012 kilogram of carbon 12 where unbound atoms of carbon 12, at rest and in their ground state, are referred to. The plan is to base the kilogram on the Planck constant . 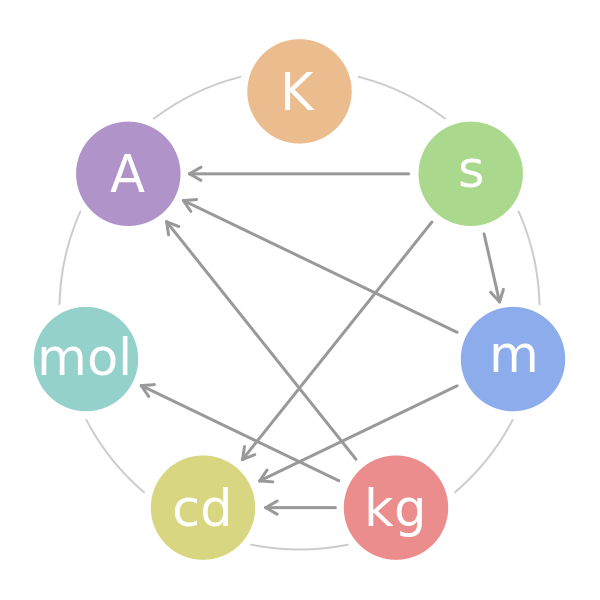 In the current system, the kilogram, ampere, kelvin and the mole are all linked to exact numerical values of the mass of the international prototype kilogram in Paris, the permeability of the vacuum, the triple-point temperature of water, and to the molar-mass of carbon-12 respectively. The plan is to change all that so that these four units are linked to exact numerical values of the Planck constant, the charge of the electron, the Boltzmann constant and to the Avogadro constant respectively. The BBC carries a short article about the Royal Society’s rewritten “Short guide to the science of climate change”. Professor Kelly is one of two Fellows who are advisers to Lord Lawson’s Global Warming Policy Foundation, which says it wants to bring balance to a “seriously unbalanced, irrationally alarmist” debate about the impact of human activities on the Earth’s climate system. Having named the GWPF the BBC feels it incumbent for the sake of balance to also mention the Grantham Research Institute on Climate Change and the Environment, But to do this they are forced to quote a certain Bob Ward who is the PR hack of the Grantham Institute. Steve McIntyre is upto his admirable sleuthing again. The question as to who chose the super-11 “peer-reviewed” papers has been solved. An impartial objective inquiry? Where the defendant decided which evidence would be admissible.